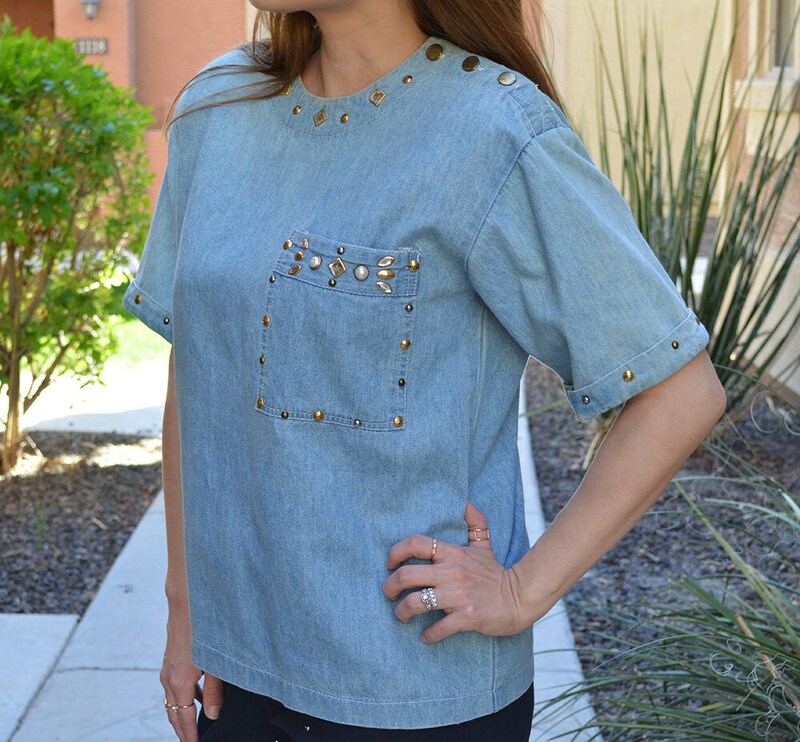 Super fun 80s studded shirt for sale. 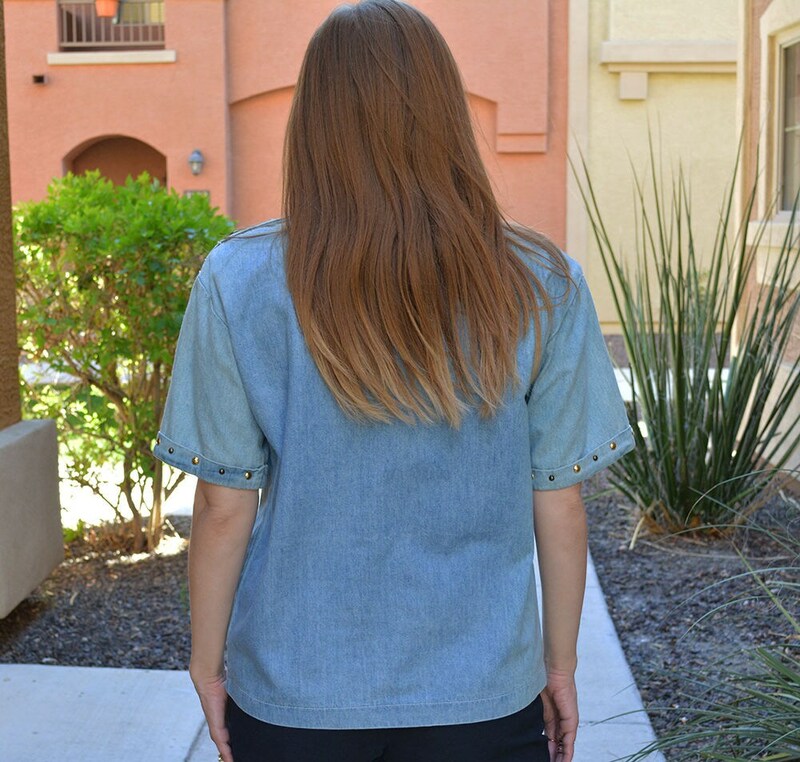 This is a light wash chambray shirt. It has very large shoulder pads inside, but they can be cut out if shoulder pads are not your cup of tea. The left shoulder has buttons on top to make it easier to put on. 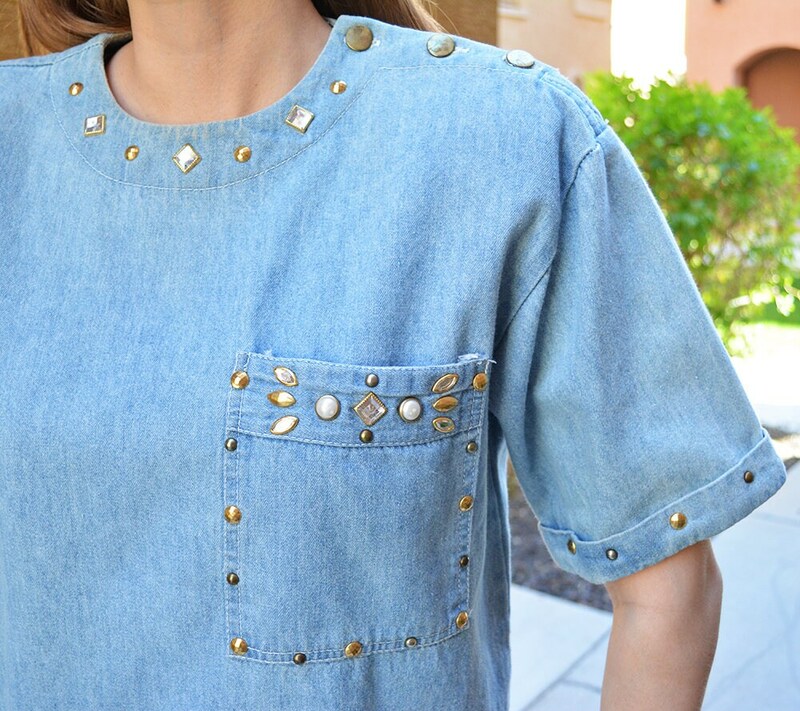 There is also a fun bedazzled pocket on the left side.